The Battle of Moscow (Russian: Битва под Москвой, Romanized: Bitva pod Moskvoy, German: Schlacht um Moskau) is the name given by Soviet historians to two periods of strategically significant fighting on a 600 km sector of the Eastern Front during World War II. It took place between October 1941 and January 1942. 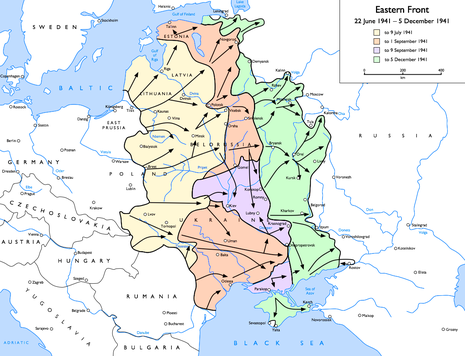 The Soviet defensive effort frustrated Hitler's strategy that considered Moscow, capital of the Union of Soviet Socialist Republics (USSR) and the largest Soviet city, to be the primary military and political objective for Axis forces in their invasion of the Soviet Union. 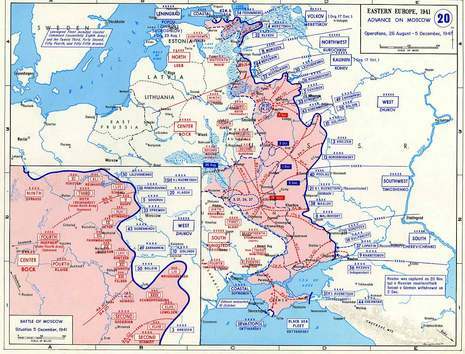 The German strategic offensive named Operation Typhoon was planned to conduct two pincer offensives, one to the north of Moscow against the Kalinin Front by the 3rd and 4th Panzer Groups, simultaneously severing the Moscow - Leningrad railway, and another to the south of Moscow Oblast against the Western Front, south of Tula by the 2nd Panzer Army, while the 4th Army advanced directly towards Moscow from the west. 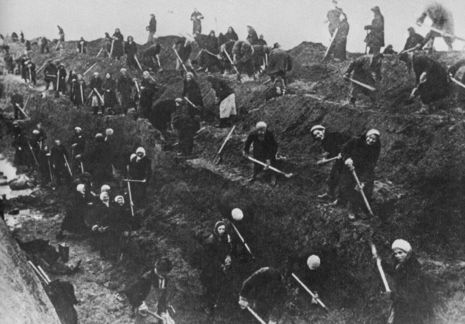 A separate operational German plan, codenamed Operation Wotan, was included in the final phase of the German offensive. The Battle for Moscow - the Germans code-named it 'Operation Typhoon' - started on October 2nd 1941. The capture of Moscow, Russia's capital, was seen as vital to the success of 'Operation Barbarossa'. Hitler believed that once the heart - Moscow - had been cut out of Russia, the whole nation would collapse.